The inter-cultural misfit performs - an anti global tour with the ‘Pied Piper’ of shamanistic advertisings and the pre packaged behavior of the indigenous. The Misfit is our iconic consumer; image is the temple and Aotearoa …… the port of departure. The work utilizes his concepts of hybridized imagery and rigorous cultural analysis to expose the conditions that shape the views of the “other” and indigenous cultures in western society. 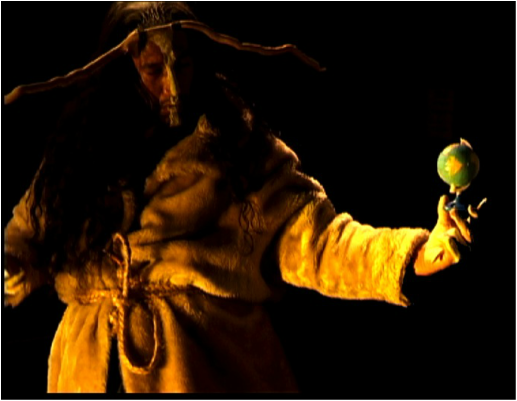 The solo performance is a vehicle for the misfit, a figure that is part tohunga/shaman and Maui/trickster. Through the misfit I am able to explore a multiplicity of issues about the consumption of culture, the role of the transgressor, testing the parameters of cultural commentary. The performance attempts to establish an intercultural discourse and polemic connection to the indigenous. Presented by the New Zealand International Festival of the Arts. In this compelling new New Zealand work, the stone age and the digital age meet; the mythical and the real collide. 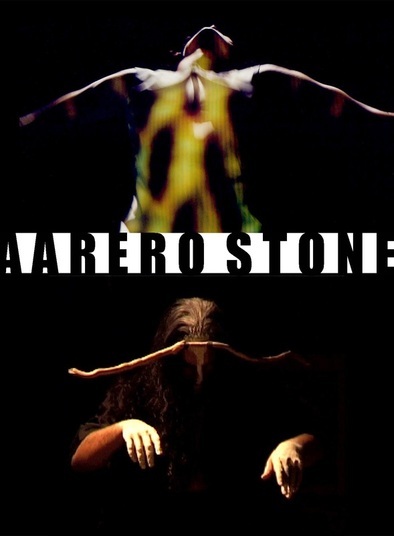 Flesh to stone, stone to dust, dust to spirit, spirit to flesh; the process of metamorphosis and transformation is explored in an innovative new dance and design led theatre work that weaves together Maori and European ancestral stories.